I recently asked my Uncle George to send me some old family photos. I knew that he had taken it on as a personal project to scan the whole archive onto the computer to preserve them and share them with family across the country. My roommates and I thought it would be fun to hang vintage photos of our families in our new apartment, which prompted my request. My uncle got so excited and reinterested in the project, I've been absolutely overwhelmed with photos all week long. 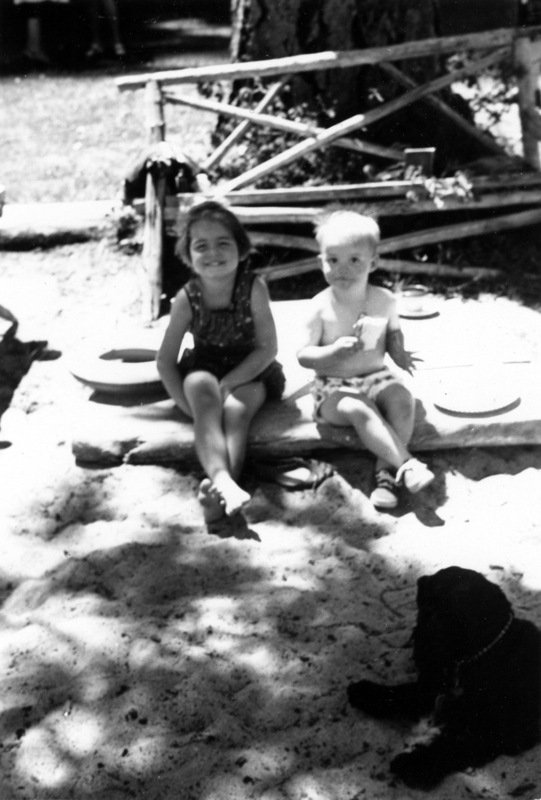 They are really mostly just interesting to my family members and I, but there are some great ones of summers in the 1950s and 1960s that I thought you guys might like seeing. 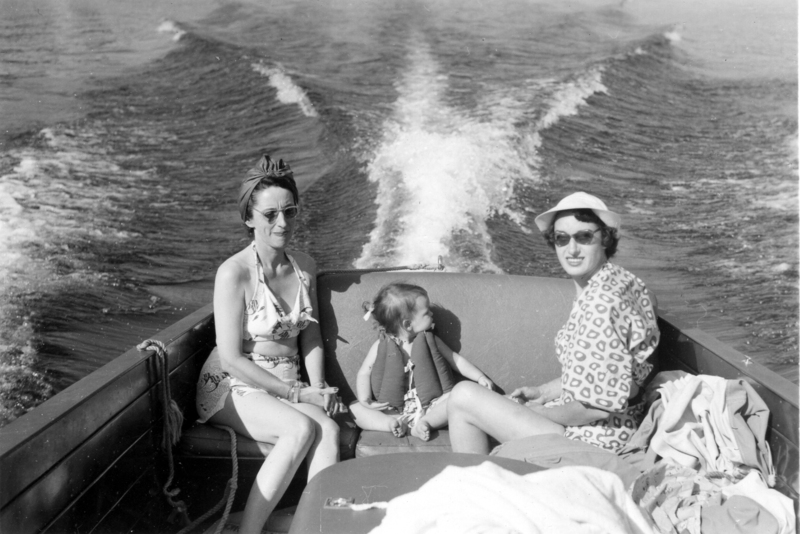 To the right is my mom and my grandmother, Evangeline, in McCall, Idaho in 1950. I love this photo so much, and I'd never seen it before last night! 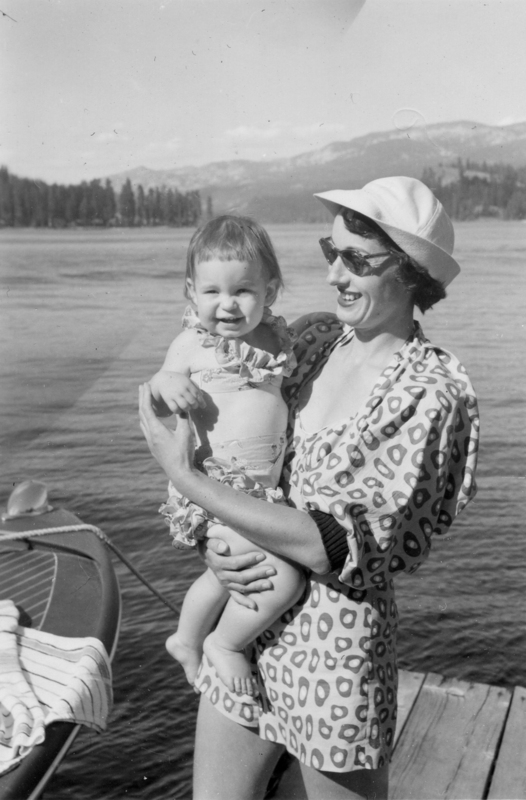 My grandmother looks so chic in her cover-up, and I'm pretty sure I had a similar swimsuit to my mom's at that age. 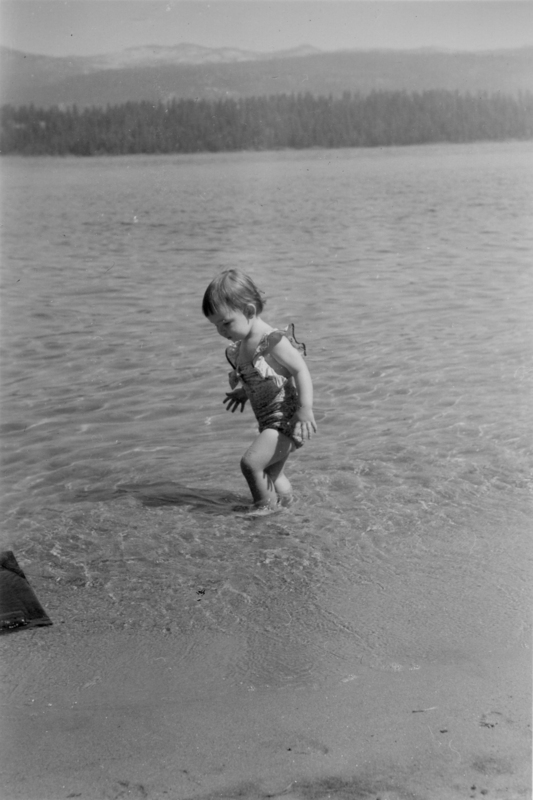 It's just sort of jarring because there are photos of my mom and I just like it in the same place, just a few docks down the beach. McCall was a family vacation spot starting long before my mom or uncle were born, and my parents (and myself, sometimes) still make it out there every summer. 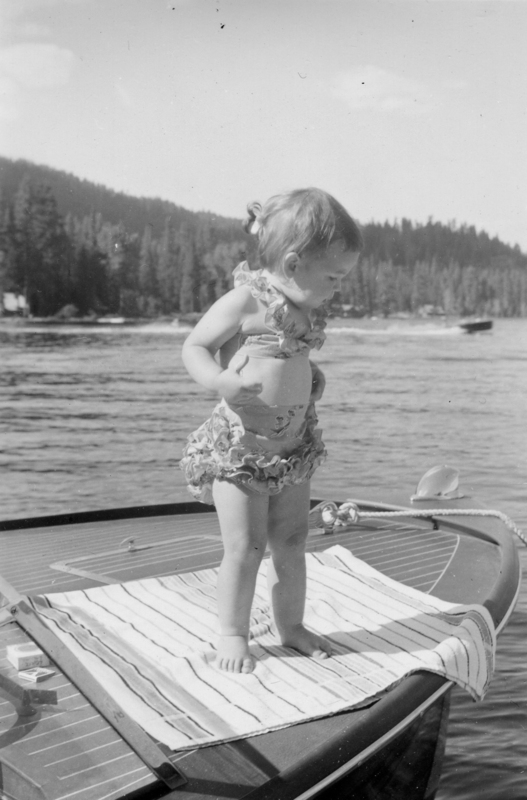 It's also where my parents were married, so the nostalgia for this small town, tucked into the mountains of Idaho on Payette Lake, is something my family will always hold onto. On the night of the full moon in August, on top of Brundage mountain, the sun sets and the moon rises at the same instant and you can see both from this place. *Please excuse the blatent promotion of my personal life in this post, I was just so excited about all the old photos I couldn't help myself. There are certainly some great elements of style in many of the pictures that can be seen on the beaches and streets today... like ruffled or high-waisted two-piece swimsuits, plaid, caftans, 90's neon, straw hats & giant sunglasses, and of course - bangs. So, things come full-circle. These are great photos! Hope you share your fabulous wall too once it is up! I absolutely love these photos! I love vintage photos!